The Union Street Pub & Restaurant opened its doors as a bar in December 2003 and the restaurant was launched in January 2004. The building is a converted 19th century shoe factory laid out over three floors. The ambience is enhanced by the spectacular sash windows and interior design that surround all levels. Choose between eating in the downstairs area which is a busy cosmopolitan bar daytime and evening time or enjoy the more private setting of the luxurious middle floor. The Union Street Pub is ideal for lunchtime or evening dining with the ambient music and open fires creating the perfect setting for a unique gastronomic experience. Have you got Google Earth on your computer? If so, then download the Google Earth view of Union Street Bar. Is this the wrong position for Union Street Bar? If you think so, then modify its position. Click / Tap the button above to get directions from where you are to Union Street Bar. Called in to Union St. for a pint before heading home this evening. Impressed with the service, the bar staff, the music and the general ambience of the place. Alas, with about 1/10 of a pint left to drink we were repeatedly and aggressively told to leave by two of the most intimidating, thuggish bullies it's been my misfortune to encounter. Clearly having had nothing to do in their "bouncing " capacity outdoors they had decided to throw their not inconsiderable weight around inside instead. There was absolutely no reason for this behaviour other than their own urgency to get home as early as possible and indeed both had left the premises within seconds of my own departure. It is a dreadful shame that a company as reputable as that which runs the Kremlin and Union Street, having sold a client a drink refuses to allow them the time to drink it. I was here for my first time over Christmas, my friends had organised to meet here. It has to be one of the most bizarre bars I've ever been in! Old rough women and 17 year old boys grinding on the dance floor while and an elderly man DJs and talks a load of rubbish over the mic! People watching did keep us entertained for the first hour until a fight between two of the rough women kicked off, so fearing our lives we left. If this is a true representation of gay Belfast then I'm glad I moved away years ago! I went to the karaoke on Thursday with Robert and Trudi which is usually a very enjoyable evening , however when I asked for 2 pints I was told there was NO draft beer available of any kind including Guinness and cider. The only beer available was bottled beer at the virtually same price as a regular pint. The female member of staff on duty had a very dismissive attitude and offered no explanation . I dont know who the below people are writing about, but they must be been DEAF, BLIND and DUMB. The staff are excellent, (even when the bar is full, which is everytime I have been in,) they take time to talk and socialise with you, when putting in your order, be it at the bar or the restaurant. The food is good too, and not overly priced. I dont generally visit bars because there is always one or two drunken loud mouths there, and you are never sure of the strangers you talk to. This sort of pub/restaurant is the sort of place I would normally be wary off, but having been there with my wife and older children, I can honestly say that we all really enjoyed the place and the welcomong atmosphere. Its a great place to relax, have food and be entertained. The clientelle arnt drunk or rowdy, the place, the staff and the customers are easygoing, which, in my book are the ingredients for a great evening. I have been quite a few times now on a Saturday afternoon it is such a brill day out Tina Leggs Tantrum's kareoke is fantastic!!! A real friendly atmosphere my face was actually sore from laughing!!! Have been going to the bingo for years and in for lunch during the week (excellent food, fresh, new and self satisfying) or in on a wed night with my army mates which is always a great night! Service is very friendly, barstaff are extremely well mannered and on the ball which is always what u want. Kremlin cud follow suit. But il keep on going, i love it too much! Keep up the great work in union and thanks for years of super service. nice place but o m g the staff are vile i do not understand them why are they so nasty and vile!!!! IF YOUVE TRIED IT AND DONT OR DIDNT LIKE IT ...YES YOUR ENTITLED TO AN OPINION BUT LET IT BE SAID THE UNION BAR HAS DONE BELFAST( P R O U D) IT HAS GREAT FOOD GREAT STAFF GREAT ALL ROUND ENTERTAINMENT AND DJ"S A LOT OF HARD WORK IS ENDURED BY THOSE WHO ARE EMPLOYED THERE.......A BAR THAT REALLY SHOULD BE IN LINE FOR A NOMINATION WELL DONE!!!! New years eve! WOW!!!!!!!! 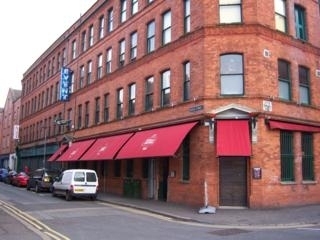 had a great time and it was nice to see our friend relax and smile (thats been rare l8ly) bring it on union street your the best bar that we have ever been to in Belfast wednesday night was brill the atmosphere and friendiness of the staff made it all the better. See you in the new year. just visiting from Vancouver and had heard a lot about this place, so my partner and I decided to check it out yeah it,s kinda good! the entertainment was good will defo be back when in Belfast again. Well good luck. We were raised to give credit where it is due, and this is what I have to say, my friend and sister recommened the union, so my partner and I went for lunch, great food great atmosphere and great staff, my partner and I have been together for many years, and since we were so relaxed I ask her to marry me and she said Y.E.S. so thankyou for making the union such a casual and relaxing place to dine, and to the staff for being so helpful and considerate. Without the relaxing atmosphere I dont think I could have popped the question, whatever your doing your very good at it. keep up the good work you could end up doing wedding receptions. A nice relaxing place to sit in. The open fires are great now the Winter is approaching. Im not gay myself but I feel very welcome and comfortable here. This place is very friendly and NOT exclusively gay. Dont come to be offended and you wont be. Paul Watters food is excellent! Were's he working now??????? ok!! I read some of the comments and I have to agree with my partner Dee, were we in the same place as the others who made the comments !! !sorry it has to be said every thing about it was just terriffic we have a friend who told us about it she had trouble finding a place when she came from canada and then she found union street, and told us how friendly staff were and how good the food is, so keep up the good work and we will be back with more friends from down south and from as far a field as canada. I was in union street bar for the first time with my best friend who has come back from Canada. she has been going on about this brilliant place since she came here, so I thought why not give it a try, so I met up with her, and OMG not only a miracle to get her to stop work for a couple of hours she was right it is FANTASTIC I have told friends that they have to visit THE UNION we enjoyed the kareoke. as for the food and alcohol PERFECT its not often our friend is right where alchohol is concerned (as she only has sprite) but this time she was spot on, staff brilliant service brilliant food to die for as for atmosphere and entertainment just brilliant no complaint or negativities from canadians or southern irish keep up the good work.As lesbians I found it hard to find a gay bar that made me feel comfortable but thanks to our friend for telling us about it we shall be back. having worked for this company for many years, i must say that the work is very taxing and very demanding and the staff donate so much of their lives to providing the best service and entertainment possible. Even as a consumer (which is hard to remember sometimes that the staff are customers as well) i find it hard to beat the dedication and faithfulness of the customers and staff and I find it the only place in Belfast with that kind of calibre of service, and atmosphere that brings me back to my job week after week with a smile at the end of each shift with a team that are as dedicated to public service at a high quality as is available at any other bar in Balfast, and personally I feel it is unparralled by any other business in this industry, and well worth a visit. We are glad to accomodate and welcome all new customers, and all of our old favorites and personalities who have made us all feel so welcome over the last 4 years. On one of these comments an un-named person says they have never heard of Paul Watters. The guy is a food genius. How he can get so many different textures and tastes onto one plate is beond belief. Wont be long before he gets his 3rd Michelin Star. Paul Rankin and Michael Dean watch out, here comes Paul ................. watch this space! Spoke to chef friend of mine and he told me Paul Watters is a top class chef who worked under Ramsey, and is currently working in one of the main hotels in Singapore. Sooner he comes back to Belfast the better, food will only improve. I would just like to clear something up here - Paul Watters (who ever he may be) is not and has never been the head chef in Bar 7 or any other restaurant I know of!!! Paul Watters is an under-rated chef. Dont know if he has opened his own top restraunt now but hey, what a chef! Top class food, top class all round, top class guy. Watch out gordon Ramsey !!! Was in a restaurant recently in Dublin and got talking to some of the guys from U2. They recommended a guy called Paul Watters who is a chef in Belfast. Anyone know where this guy cooks now? wat a rip off easter sunday was! all beer taken off and the spirits were very dear must try harder guys. went to the union street bar for the first time on wednesday night. was out for my birthday with my girlfriend unfortunately the resturant was closed. but can honestly say i was quite impressed with the bar itself and the entertainment. tina leggs was a scream well done tina ur onliners were fantastic and well done to the quiz team who came up with the outrageous name "my grannys not a fighter but u should see her box". we had a really great night and most definitely intend to return another night. I have been to Union Street many times and it is one of the Best bars in Belfast not only for the fact that it is so relaxed but also the fact that the food is among the best you could expect to get in Belfast, the Resturaunt manager Peter is a good fella and is a real laugh when you get to know him and he has always gone out of his way to help me when i was there..There have been some comments on here that the staff in Union st are stand-offish but that isnt the case.The only complaint that i have about this bar is that the toilets are way too small..the taps in the toilets are fiddley to get working and they smell a little..but then i dont drink in it cos of its toilets do i...excellent bar excellent music and all-round a good night out. I think the resturant manager needs singled out for paticular emphasis for being uup his own arse (older guy in a black shirt). He makes you feel bad that you have the audacity to actually want to come into his bar and have a drink. How dare you!